2019 Update: The “10% of Revenue to Charity” commitment has been extended to my latest project, Streaker’s Journal. Okay, the word “forever” is giving me heart palpitations. The truth to all these unknowns is that I don’t know. What I do know is that there is so much desperate need in the world. If we want change and we want things to be better, we can’t expect it to originate from others. We must look inward and be the ones taking action. While it’s almost nothing compared to the great selfless accomplishments of so many others throughout history, building a meaningful and permanent financial commitment into my startup on Day 1 is a good step forward. Who knows what it might lead to or inspire? While it creates more purpose and direction internally, it should also have some benefit externally as well, giving people a concrete reason to believe in us and what we’re trying to accomplish. Leading up to this decision, I asked about a dozen people for advice. Is a fixed percentage of revenue a good idea, or should it be a percentage of profit instead? How much, to be truly meaningful, without putting a stranglehold on the company’s growth and profitability? Do people even care? What if the commitment turns out to be financially unsustainable? Deciding to structure the charitable donation amount as some fixed percentage of something was easy, but lots of other choices weren’t. I considered a broad range of percentages, trying to find a sweet spot that would be eye-popping and meaningful, but also feasible from a business standpoint. One person I asked, who I exchange email with every day (okay, I subscribe to email updates from his blog and he doesn’t know me at all) is Pascal Finette. Pascal is working like mad to get Singularity University up to warp speed, but he responded quickly and thoughtfully. He and Kelly __________ (a dear friend who has a life-friendly job at a professional services firm) helped me settle on the 10% figure — clean, generous and easy for people to get their heads around. Everyone I spoke with mentioned the possibility of backing off from a fixed percentage of revenue, and donating a percentage of profit instead. From a business and common sense standpoint, they’re absolutely right. It would be much safer and more conservative to give part of what’s left over after expenses, than part of every dollar of revenue before rent, salaries, advertising, and all the other expenses are deducted. However, that safer path is also much less audacious and meaningful. One thing I admire about many great achievers is their willingness to go forth and try great things, despite the very real possibility of failure. 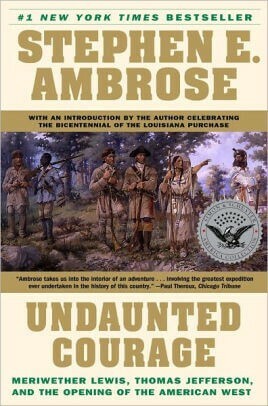 Lewis and Clark didn’t just cross the street, they ventured out and crossed* a vast and unknown continent. The same goes for Nelson Mandela, Mahatma Gandhi, John Lewis, Elon Musk, Steve Jobs, and countless others. If you aim low, toward something easy and inconsequential, you will hit the target. Another concern is how would, or should, donating a percentage of profit affect business spending? Should company cars be ultra-inexpensive 1995 Yugos, in order to minimize expenses (so there’s more profit, resulting in more donated funds)? If so, where would this line of thinking end? Camping on the side of the road during business trips instead of spending money on hotels? Who would really know what a private company’s profit or cash flow is anyway? Why Start on Day 1? It’s tempting to say that instead of giving today, we’ll go out and earn a lot of money, then be even more generous down the road. Maybe that would be the case, but if my bank account fattens, maybe my appetite for expensive stuff would too. Steve Martin, the brilliant banjoist and entertainer, is a tale of caution. He became extremely successful, but ended up spending tons of money on $300 socks, a fur sink, an electric dog polisher, a gasoline-powered turtleneck sweater, and some dumb stuff too. This is a reference to one of Martin’s famous comedy bits. 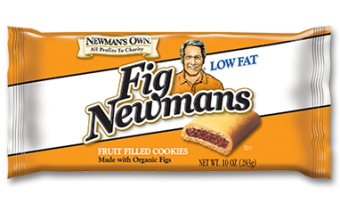 One source of inspiration is Newman’s Own, the food company co-founded by late actor Paul Newman, which has donated over $450 million (100% of profits) through its charitable foundation. I was also impressed by Salesforce.com’s “1–1–1” philanthropic effort, whereby the company donates 1% of its equity, 1% of its employee time and 1% of its product to nonprofits, in communities where its employees live and work. It turns out there are quite a few companies that have pledged 1% of their equity, time and product. It’s really encouraging. The idea of donating employees’ time, in addition to money, is very appealing, but as a brand new startup with a zillion urgent things ahead just to get up and running, that will have to wait a bit. Blake Mycoskie’s book, Start Something That Matters, and the generous business it describes, is also inspiring. Adam Tschorn’s LA Times book review gives a great outline. Blake is a shoe giver. In fact, his title at his company, TOMS shoes, is Chief Shoe Giver. He co-founded TOMS based upon the “One for One” business model, where for every pair of shoes the company sells, it donates a pair to children in need around the world. It’s best to just set precedent early and commit. If the company can’t survive later without cutting into the 10%, then you adjust and communicate openly. So donating 10% of revenue “forever” is a good faith commitment, made with the very best intentions. That said, who knows what the future holds? In five years, wheels may no longer be round. If it turns out we just cannot sustain this level of giving, while keeping our closets filled with gasoline-powered sweaters, we’ll be 100% upfront and transparent before making any change. Where will the donated money go? The money will go to a different charity* every month. This will allow us to highlight a different need or cause each month, which will raise awareness and hopefully inspire others to donate their time or money. *Donations will usually go to 501(c)3 nonprofits, but not always. There might be a terrific cause or need we can help address that for some reason doesn’t happen to be a 501(c)3. Regardless, we will definitely be upfront and transparent in every case. There are probably details we haven’t thought of yet. As we do, and the ones we already have, like the impact of refunds or prepaid annual contracts have upon a given month’s revenue, are discussed here. Rest assured we’re not in any way looking to avoid or circumvent the spirit or letter of our commitment. Life can be complicated and we’re trying to be transparent about details, so there are no surprises or disappointments. Even though it’s scary, and there are real drawbacks, and it’s probably not the wisest decision, we’re making a public commitment that Enlightened Jobs will donate 10% of revenue every month to a different charitable cause, forever. Lastly, please share your thoughts and experiences about charitable giving and volunteering. How have they affected you, as either the giver or the recipient? 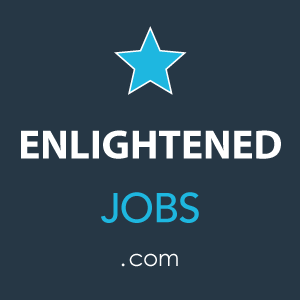 Mark Gavagan is the founder of Enlightened Jobs, a job board and matching service that helps people in fields like technology, design, finance, marketing and accounting, find life-friendly jobs. Other ventures I’m associated with not related to this 10% of revenue pledge include Careerasaurus.com (helps job seekers thoroughly prepare, to succeed in job interviews) and 12CriticalThings.com (helps people get their affairs in order, so if something happens to you, loved ones will know what you have, where it’s located, and what your wishes are).